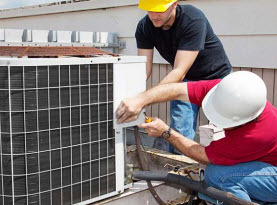 Commercial businesses and residential homes of Hampshire and Hamden County, Massachusetts are supplied with HVAC system services from Ambient Heating and Air Conditioning. Since 2003 we have been certified, licensed, and insured to offer affordable, professional quality services. Ambient Heating and Air Conditioning technicians have advanced training, years of experience, and extraordinary skills that are amplified with the use of high-end products, tools, and equipment available only to licensed professionals to ensure our valued customers are getting nothing less the premium results. 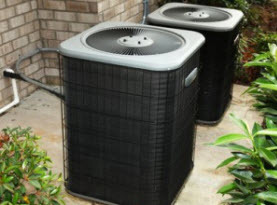 In addition to superior execution on all services rendered, we practice family-friendly customer service and uphold high moral standards and work ethics to make your experience with Ambient Heating and Air Conditioning an exceptional one. 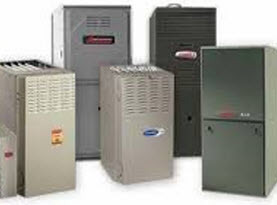 Included in Ambient Heating and Air Conditioning is furnace maintenance extended to both the commercial businesses and residential home of Hampshire and Hamden County, Massachusetts. Furnaces are an important to have fully operational during the bitter Massachusetts winters. To help prevent furnace failings, a professional maintenance from Ambient Heating and Air Conditioning is a good place to start. With annual furnace maintenance your furnace can avoid serious mishaps and even have the life extended. – Heat exchanger. Inspected for cracks or signs of deterioration common due to age. Toxic fumes can emit from the crack, if they exist they need to be rectified as soon as possible. – Burners are carefully removed and cleaned thoroughly. Poor combustion, soot, condensation, and early retirement are all byproducts of dirty burners that prevent the furnace from working efficiently. – Fan switch is evaluated and adjusted if needed. An improper fan switch wastes energy and hinders fan cycling. – Pilot and pilot assembly are cleaned are corrected if out of alignment. Weakened and dirt pilots are easily extinguished, leading to furnace shut downs. – Safety controls are inspected for performance to ensure they are fully functioning in the event of an emergency. – Gas lines are checked for any leaks from the furnace to the shut off valve of the burners to avoid hazardous gas leaks. – Combustion air openings are checked for obstructions to avoid dangerous circumstances. – Flue pipes are evaluated for corrosion to avoid gas leaks. – Temperature and performance are recorded for future diagnostics and comparisons to help avoid any potential problems. – Panels are checked to ensure security as loose panels can increase the operating costs, as well as cause shutdowns and contribute to hazardous conditions. – Safety and Controls are tested and inspected for performance to ensure components are functioning up to par. – Lubrication application. Applied to all bearings and motors to ensure smooth operation and avoid issues. – Belts and pulleys are fine-tuned and inspected to maintain proper airflow and operating costs. – Air filters are replaced to avoid compressor shortcomings. – Voltage and amps are monitored to ensure the motor is functioning appropriately and avoid increase operating costs. 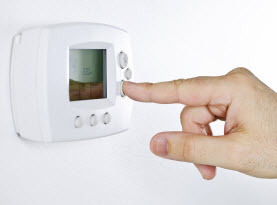 – Thermostat is calibrated and evaluated for peak performance and to avoid unnecessary usage. If your Hampshire and Hamden County, Massachusetts commercial business or residential home is in need of furnace maintenance, call in Ambient Heating and Air Conditioning to perform our furnace maintenance service to get you prepared for the winter months.